Eating and shopping – either for food, toiletries or other essentials – are part of a traveler’s life. 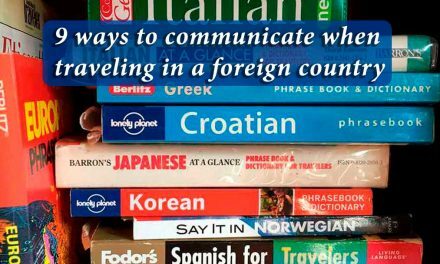 This can become a little bewildering when you are trying to decipher unknown word and customs, especially at meals or in stores. 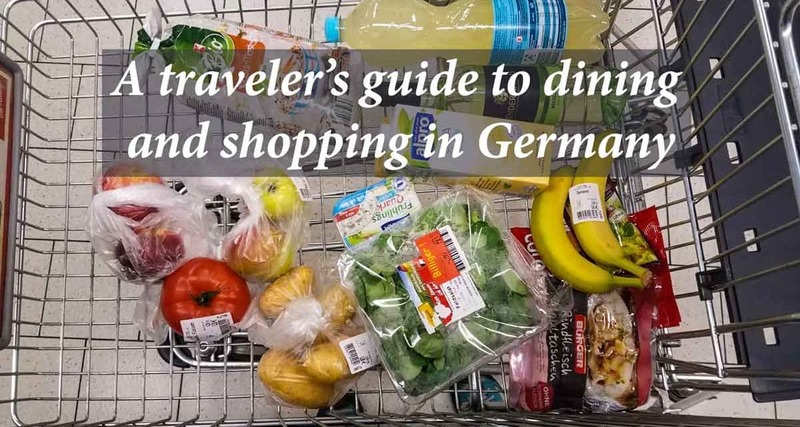 Our traveler’s guide to dining and shopping in Germany (and most German-speaking countries like Austria and parts of Switzerland) will help take some of the mystery out of the process and make your dining and shopping experiences a little easier. 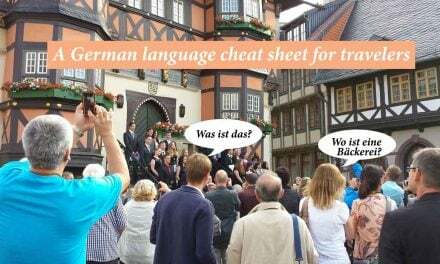 Refer to our “German language cheat sheet for travelers” to help you say what you need. By German law, all items in windows have prices posted on them. Cool, huh? Plus, prices will always be clearly posted by or on items in stores. Never hesitate to “just look” and feel free to tell a clerk who asks if you need help: “Ich schaue” (“ikh sch-ow-uh”). Recognizing prices – Know that in these German-speaking countries, a COMMA is used instead of a decimal point before the cents, so instead of 22.50 (22 dollars, 50 cents), you’d see 22,50 (22 euros, 50 cents). If the price is an even number without cents, you may see a long dash instead of zeros, e.g. 22,–, and if a price is only cents (no full euros), you’d see a dash in front of the comma, e.g. –,50 (see below photo). Looking at the prices in this store you can see that some only show cents, so you note the dash in front of the comma. If it were no cents, the dash would be after the comma. In grocery stores – Most clerks will actually help you make change and are ALWAYS honest! Since you pack your own bags in grocery stores, and they try to keep lines moving, don’t let it rattle you, but do move along as quickly as possible. When shopping in Germany ask for help counting money if you need to. And do avoid always paying in larger bills for ease since otherwise you will amass a huge pile of VERY heavy Euro coins. HITT Tip: Most plastic bottles and glass bottles (not wine bottles) have a deposit (called a “pfand”) automatically calculated. So when you shop, you will pay that too (usually about 15-25 euro cents per bottle). The side of the bottle will indicate whether it is a “pfand” bottle. You can take it back to most any store and get your money back. Packing your purchases – Do always carry your own shopping bag or be prepared to buy one to carry items. Also, always be prepared to quickly pack up your goods and get out of the next customer’s way. In some stores, you can throw everything back in your cart and move over to a packing area or unoccupied register to do the packing up more slowly. HITT Tip: We always have a reusable stashable shopping bag or daypack with us to carry purchases. You never know when shopping will happen! We particularly like the selection from Sea to Summit. 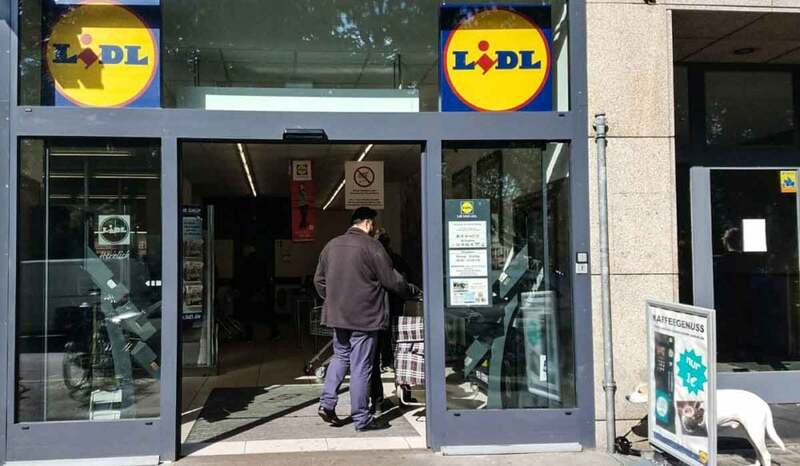 Store names to look for when shopping in Germany – Some common store names for grocery and deli basics are Edeka, Aldi, Lidl, Rewe, or Penny Markt. Edeka and Rewe are slightly higher end. The others tend to have more pre-packaged goods, like small bags of apples instead of bulk where you can buy a couple. Know that you can get very decent bottles of wine for 3-5 Euro at most any store, and in a store like Edeka you will often find a wide selection of single-serve bottles of a wide range of quality. HITT Tip: Almost every main street in a decent-sized town will have a “Kaufhof” or “Karstadt” department store. Don’t be fooled into thinking it just has clothes, shoes and housewares, as may appear in the window. Go to the basement (usually — although sometimes on an upper floor), and you will always find a grocery store and deli area, often including take-out food and small restaurants or cafes. This can be a great place to get prepared food if you want to go back to your room or sit outside somewhere. It will be a bit more expensive than others but not crazy high. 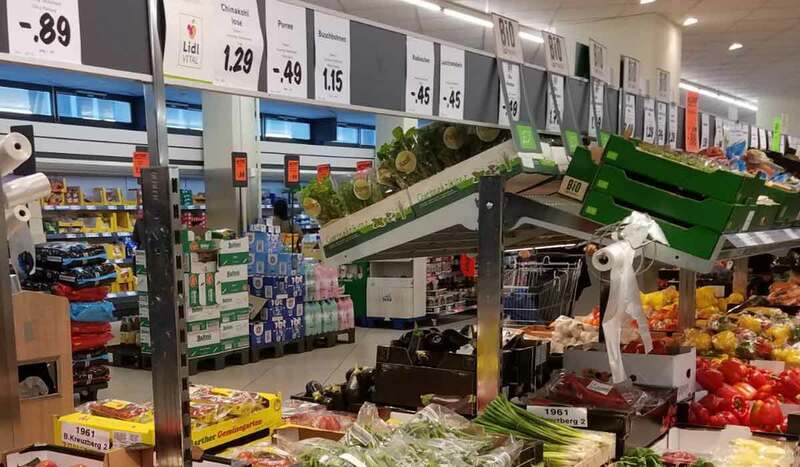 Using shopping carts – If you want a shopping cart, have a 1 euro coin handy as a deposit (keep one in your wallet at all times for this purpose). 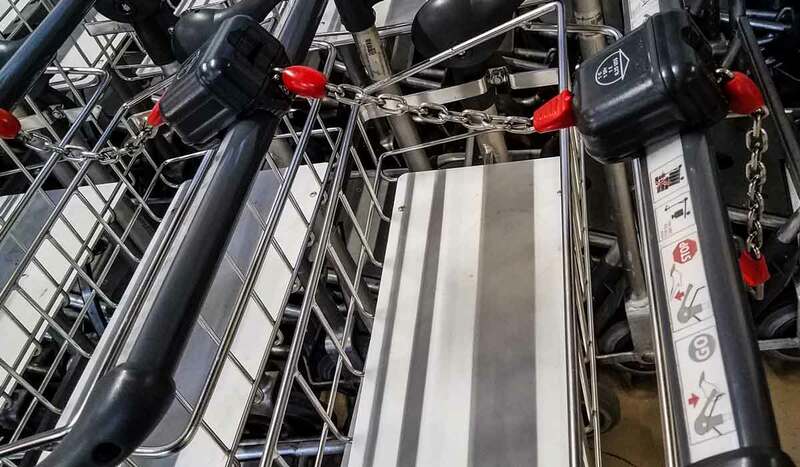 You will stick the coin in the handle and push in a lever to get the chain mechanism that locks all carts together to release a shopping cart for your use. When you return the cart, push the mechanism back into your cart’s handle and it releases the coin. Buying cold cuts, cheese or rolls – You can go to a bakery and buy one roll, or at a deli case you can buy even a couple of ounces of sliced meats or cheese. Nobody blinks. For example, 50 grams (about 1.75 ounces) or 100 grams (nearly 3.5 ounces) are common portions. They will serve you and wrap it just like they would a huge party platter. Reservations – Most restaurants, unless quite fine, do not take reservations, although more and more are these days. Seating – When you arrive at a café or restaurant, simply look around and seat yourself where there is availability. Sometimes, a staff member will indicate where you can sit, but usually with just a casual wave of the hand. Joining people at another table – If there are no empty tables but there is room at another larger occupied table, you can always join another group. Just ask if the seats are “frei” (fry) before sitting down. Coffee and cake – In a café specializing in cakes (“Konditorei”), there will be a case of what is fresh baked that day (you will find the same in restaurants with cakes and tortes). If you are seeking some sweet baked good, take a look at the selection on your way in (or go back and look after you sit down) so you know what they have. Feel free to also return with the waiter to point at what you want in the case. HITT Tip: When you order a coffee, realize that means ONE cup of coffee – no refills. You can often order a small pot called a “Kännchen” (“Kehn-chen”), which will give you a bit more coffee for a slightly better price. 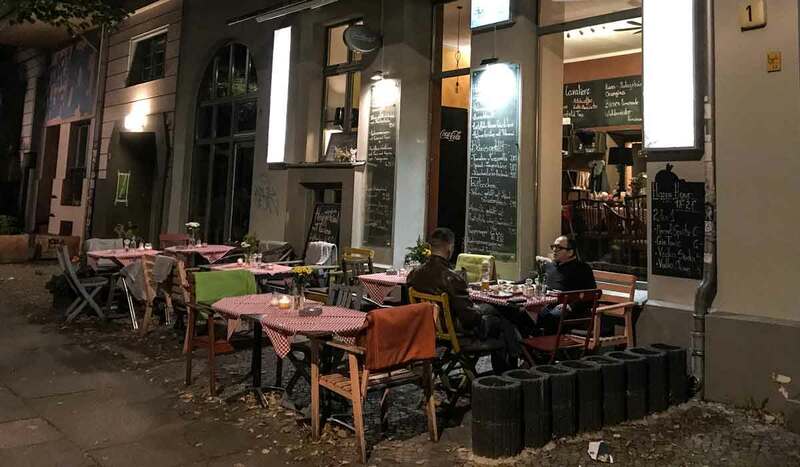 Ordering drinks – When a waiter comes, he or she will usually drop off a “Speisekarte” (Menu) and ask “Zum trinken?” meaning, what do you want to drink. If you know, you can order immediately, otherwise you can kind of point at the menu and say something simple like “ein Moment” so you can look. Menus are very clear about portion sizes of beverages — they must be by law. Note portion sizes here such as half a liter (0.5L) or a quarter liter (0.25L). There will also be little marks on the side of a glass with corresponding quantities. If you are shorted, you can send it back for your full amount! 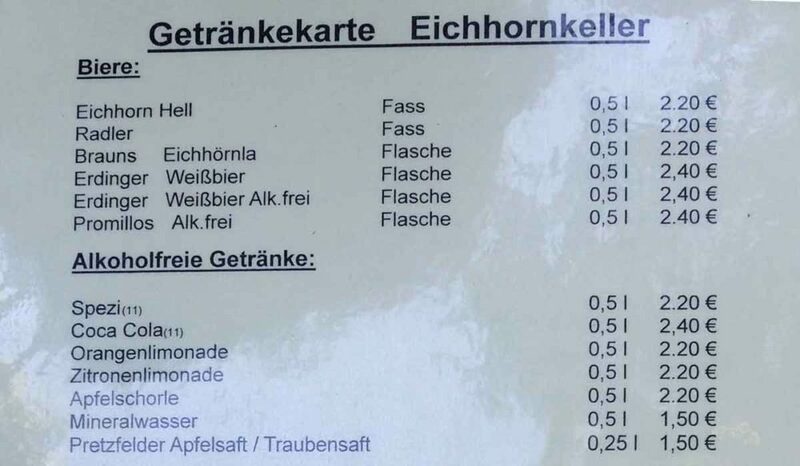 HITT Tip: You will order beer as “ein kleines” (usually about 0.2-0.3 liters, small) or “ein grosses” (usually 0.4-0.5 liters, large). A Weizen beer will usually only come in one (large) size. A specialty will be a “Radler,” which is a mix of a carbonated light lemonade and a pilsner beer – very refreshing in the summer. Wine can also be ordered as a “Schorle” (a “Gespritzer” in Austria), which is basically a spritzer. Ordering food – When the waiter returns to take your order, he or she will say, “Bitte?” (basically, please). 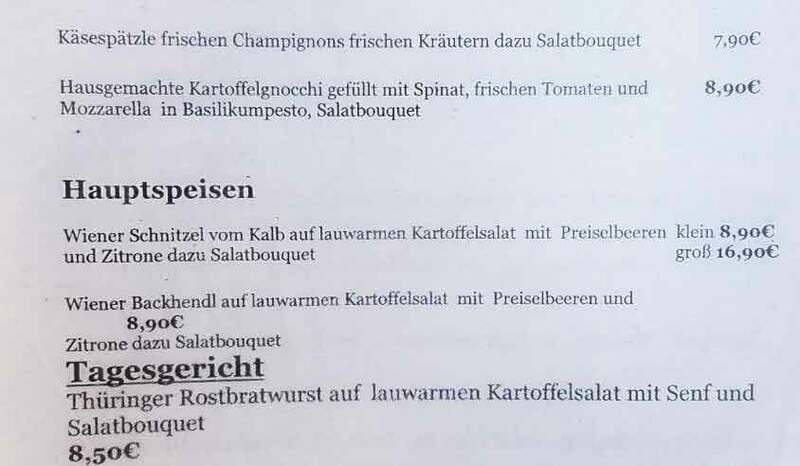 A sample menu with the typical dishes including schnitzel (breaded pan-fried meat) and bratwurst. Getting water – If you ask for water (“Wasser”), you will get a glass of carbonated mineral water you will have to pay for. They do NOT as common practice serve tap water and think we are strange for drinking it. However, more and more these days a restaurant will bring a glass or small carafe of tap water called “Leitungswasser” (“lie-tungs-wasser”). Some restaurants will say they cannot, and that’s that. Paying the bill – You will pay the waiter directly at the table. Usually he or she will tabulate your bill on the spot and either tell you a number or write it down and put a piece of paper in front of you with that number. You will hand him or her your money, the person will make change on the spot from a big wallet, and you’re done (Exceptions: very fancy or fast food restaurants). Using a credit card – Make sure you have cash since not all restaurants accept credit cards. Your best chance for a credit card, though, is a Visa or MasterCard, but do make sure you are not paying a currency exchange fee! See our article, “7 tips on how to save money when traveling internationally” for more on that. Do not add your tip to a credit card payment, but hand the waiter some change (see below about tipping in Germany in restaurants). Tipping – Unless you are in a fancy restaurant, a tip will slide from between 5% and 10%, usually added by simply rounding up. For example, if in a simple restaurant or cake bakery, and the waiter announces your total as 10.40 Euro, you could round up to 11 (or 11.50 if you are feeling generous). If you are in a sit-down restaurant, and the total is for example 28 Euro, you could round up to 30 or perhaps 31, all depending on service too. For a quick coffee, no tip really is needed or maybe just 10 cents (for example, if a cup of coffee costs 1.90 you could just pay 2 Euro). 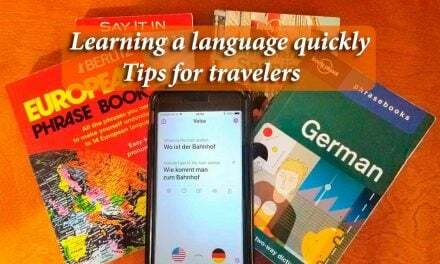 These basic tips for shopping and dining in Germany will help you get around and enjoy your stay more! Want a downloadable PDF version to take with you anywhere? It’s free. All you need to do is join our mailing list. How easy is that. Yay! 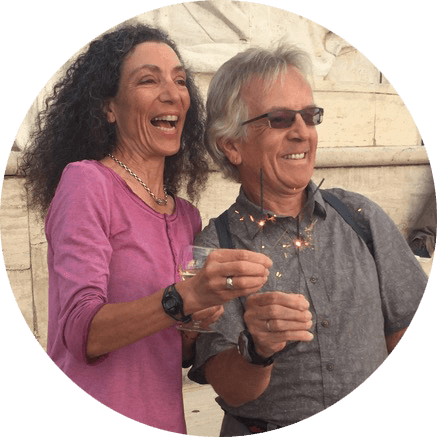 You have successfully subscribed to travel inspiration delivered by HI Travel Tales. Be sure to respond to the email we just sent you to confirm your subscription. Thank you! And enjoy your free premium content.